Gaby Jogeix is a self-taught musician of French and Spanish origin, born in Bilbao (Basque Country), now based in Madrid. His stay at the Summer School of Arts and Languages in Winchester (United Kingdom) further deepened him especially in theatre and music that has enveloped him since his school days. His studies in English literature, theater, music composition and corporal expression at the renowned school have made him a special musician adding more ingredients to an artist who already possesses a mixture of cultures. 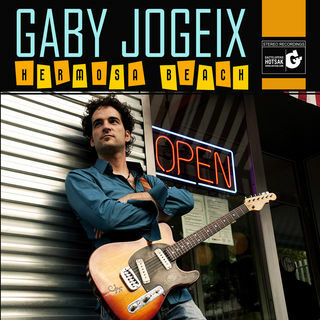 “Gaby Jogeix is an impressive musician. His lap steel and electric guitar playing is very, very good. 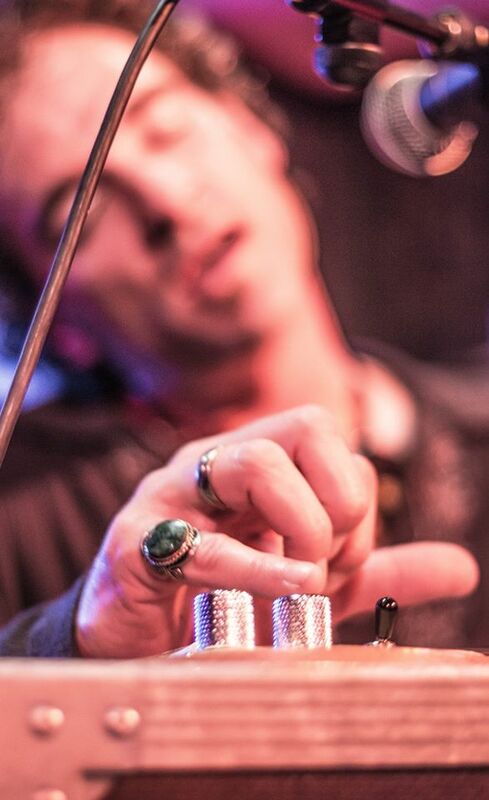 He’s creative and is not an imitator, although one can hear the influences of his musical masters.” – Bruce Iglauer. Alligator Records. 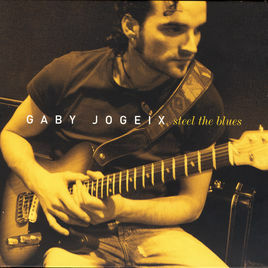 And that’s how Gaby Jogeix (pronounced Joe-Jex) broke out with his second record “Steel The Blues” (Gaztelupeko Hotsak, 2006), one of the most memorable releases among R&B fans in recent years. Both public and international critical acclaim have corroborated the words of Alligator Records President, Bruce Iglauer. Along with his performances at the Guitar Festival of Barcelona 2008, he has made four tours in Cuba at the Karl Marx Auditorium as an invite of AECID (Spanish Culture), two tours in Serbia and one in Belgium where he lived for a year. In addition to the Balkans, France, Argentina and other countless performances at festivals and clubs in Spain, such as Reus and Cazorla. Five years passed until he published “Hermosa Beach”, recorded in Los Angeles (CA) with guitarist Kirk Fletcher as producer. Kirk Fletcher (born in 1975) has an ample curriculum that has placed him among the best guitarists of his generation. Besides publishing four individual records, he was a member of The Fabulous Thunderbirds, and Charlie Musselwhite personally called him to form part of his band. On his trip to LA, Gaby wanted to capture the vibe and the church gospel music where Fletcher learned to play. He achieved this with the inestimable help of the guitarist, who put together an incredible group of well-known and veteran musicians: Tom Fillman (member of the American version of the Spencer Davis Group), bassist Bobby Tsukamoto, trombonist Duane Benjamin, and keyboard player Rick Wenzel, who shared the stage with The Doors, Van Morrison, and Frank Zappa. Wenzel is also the owner of Ardent Audio Productions, the studio where the album was recorded under the technical direction of Lior Goldenberg, ensured a potent mixture of work. He’s currently finishing recording his last musical adventure, that took place this time in New Orleans and that will be out by Spring 2019. Get exclusive information about Gaby Jogeix tour dates, music premieres and special announcements.